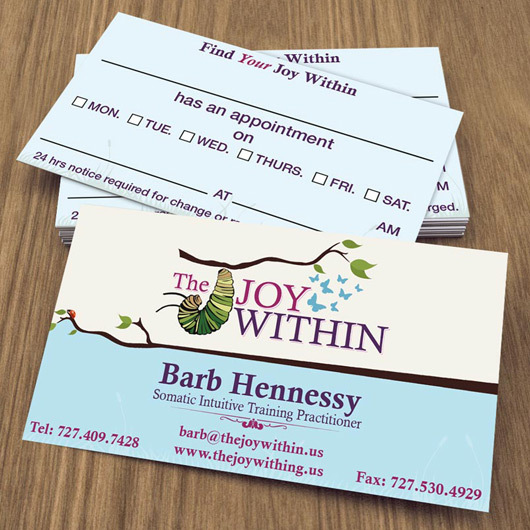 Barb Hennessy’s journey in launching her new company, The Joy Within, lead her to P3 after she had seen the creative brand and marketing our agency had implemented for several of her colleagues. Barb has a lifelong mission to assist people who are challenged whether it be a hearing impairment, a veteran with combat stress and trauma to individuals with high stress levels. On her journey she was introduced to Somatic Intuitive Training which transforms unwanted, painful emotions to feelings of peace, comfort and control. Barb came to us with her idea for the new company and questions on what was the best way to rapidly establish a presence in the marketplace. We identified what her vision and goals for her new company were and which market sectors would be her target clients. Based on our Business Intelligence we knew exactly who, where, how and what core brand and marketing solutions to create. 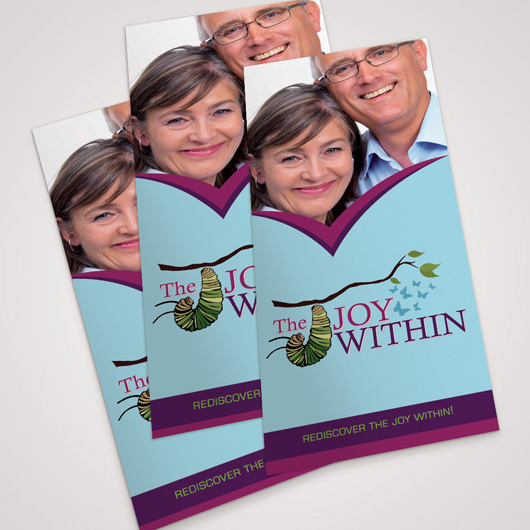 In launching The Joy Within, it was vital to design her marketing collateral with a compelling, emotional appeal. Stress, unresolved feelings, fears and unwanted behaviors could be released and replaced with intentional and powerful thoughts permanently. You can see the examples of her business card and brochure that exude joy, freedom, contentment. Everything from the transformation images on the business card and brochure to the content to the choice of colors subliminally reinforces the essence of the brand promise. The Joy Within website is the third phase and is currently under construction. We love seeing the joy within Barb emerging as each phase was completed.